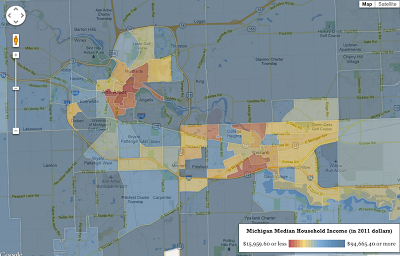 What you are looking at is Ann Arbor, of course, color coordinated based on household income. Rich blocks, Poor Blocks put together a google map of every city in America. The reddest areas mean the average households are pulling in less than ~$16,000 and the darkest blue areas are reaching incomes of over $94,000. 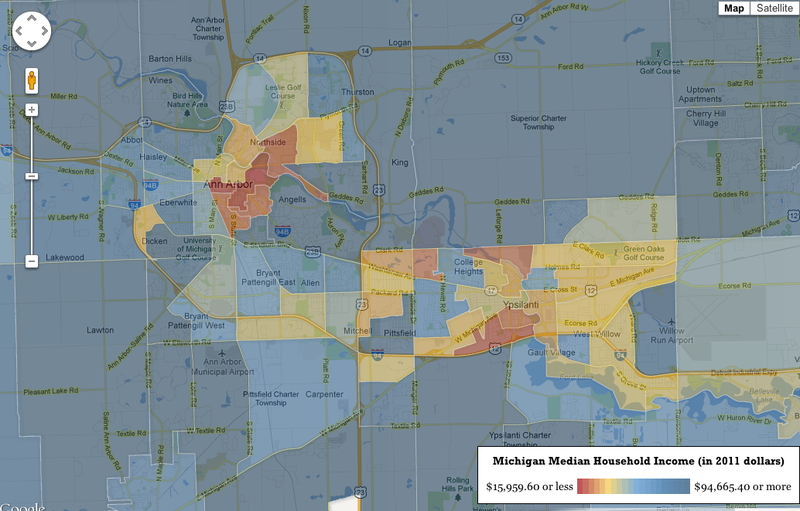 When you click on the map you can see the median household incomes, etc. I don't think anything is too surprising about the Ann Arbor, but you can take the map to any city and examine away. 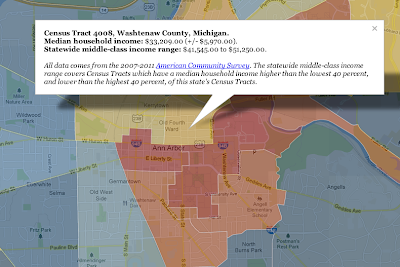 It's interesting that the center of Ann Arbor is so "poor." Do you think it's caused by the presence of student renters? It IS interesting. 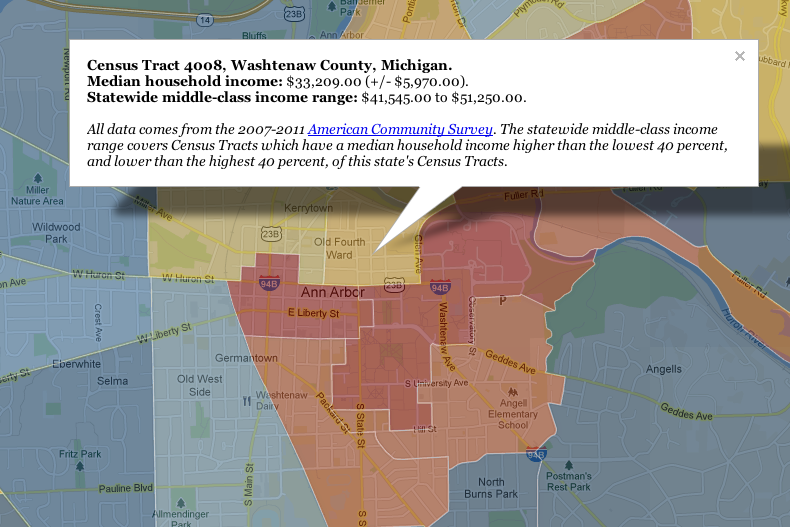 I looked up Traverse City (duh), and while I wasn't surprised by the richer areas, I was surprised by the poor areas.